The Canadian oil and gas sector is in a holding pattern in which spending and production growth can't occur until new ways to get products to export markets are found, according to CIBC analyst Jon Morrison. The steep discounts being paid for Canadian heavy and light oil production compared with U.S. benchmarks won't end soon and that means there's no money for producers to increase their drilling budgets, he said in a report released Tuesday. The report bodes poorly for Canada's energy services sector as the industry enters the winter drilling season, its traditionally busiest time of the year as frozen ground allows more access to backcountry sites. "We believe this reality will start to percolate into 2019 capex budgets, with a number of producers likely to delay the issuance of formal guidance until January and then we believe many are likely to announce development programs that show little to no incremental production growth," said Morrison in the report. The report came as OPEC Secretary-General Mohammad Barkindo on Tuesday urged oil-exporting countries to increase investment to meet future demand as spare oil capacity declines worldwide. In a speech posted on OPEC's website, he said the global oil sector will need to invest US$11 trillion by 2040 to meet the future needs of the world. But while world oil prices have risen recently to four-year highs due to concerns including possible U.S. sanctions on Iran, Canadian oil prices have gone in the opposite direction as new production floods pipelines and U.S. demand drops temporarily due to fall refinery maintenance outages. "Canada is facing an unprecedented epic pipeline problem," said Morrison. "And while we have known that this issue has been on the horizon for years, the pressure in the system is building and it's set to remain ugly for some time." According to Net Energy Group, the difference between Western Canada Select bitumen blend prices and New York benchmark West Texas Intermediate for November delivery has averaged $45.50 US per barrel this month. The difference between Edmonton Sweet and WTI has been about $27 US. Last week, the WCS-WTI differential widened to more than $52 US per barrel, at which point analyst Matt Murphy of Tudor Pickering Holt & Co. calculated bitumen producers were actually losing money because the light oil used to dilute their heavy sticky crude cost more than what the barrel was selling for. Western Canada will remain short of pipeline capacity even if Enbridge Inc.'s Line 3 replacement pipeline is completed by 2020, thus adding 370,000 barrels per day of capacity, CIBC notes. The short-term situation will improve but not enough to allow growth in activity if crude-by-rail exports double as expected to a record 450,000 barrels per day by the end of this year, the report says. Unusually wet weather in Alberta in September will contribute to soft third-quarter earnings reports from oilfield services companies, Morrison added. 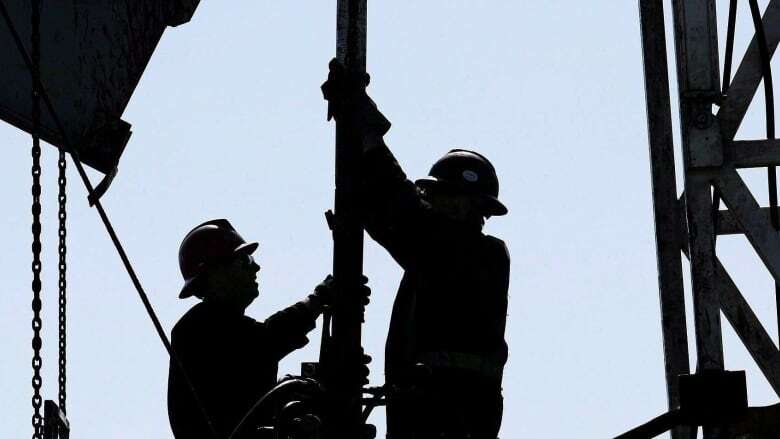 He said Canadian drilling rig utilization in the quarter ended Sept. 30 was about 32 per cent, higher than the 28.5 per cent achieved in the same quarter last year, while the number of operating days were about nine per cent higher.